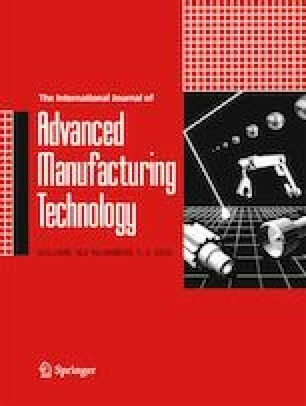 Targeting energy-efficient machining process planning, this paper presents a follow-up research on cutting energy consumption modelling for prismatic machining features (PMFs). Based on the investigation of plastic deformation-based energy consumption, its energy consumption model is extended to PMFs by refining machining time and feed at corners. Material removal volume associated with machining strategies for the PMF machining is considered as well. Moreover, cutting energy consumption models are established for the selected PMFs, i.e. face, step, slot and pocket. Finally, energy consumptions in machining of a designed test part, involving the established models of cutting energy consumption for the selected PMFs, are measured and compared with estimated energy consumptions to validate the developed models. The authors sincerely thank all the anonymous reviewers for their valuable suggestions on the improvement of our paper. This work is partially supported by the National Natural Science Foundation of China (Grant No.51720105009).